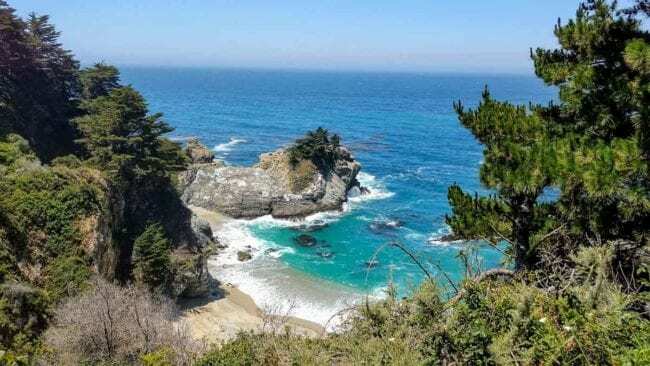 We recently visited Carmel-by-the-Sea for the first time, and it took me about 15 seconds to fall in love and wonder if I should start buying lottery tickets so I can buy a second home there. Our trip was a vacation, so I didn’t arrive planning to write a post about it. It was supposed to be time away from thinking about work, but I knew after checking into our inn that I had to share it with you. Here’s the short version of our best recommendations. 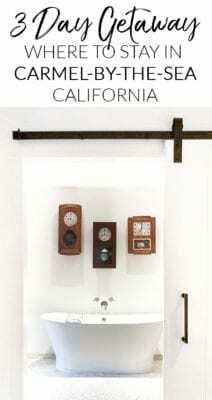 To get to Carmel, the closest airports are San Jose or San Francisco. San Jose is a bit closer, but the drive from San Francisco along Highway 1/Pacific Coast Highway is worth the extra time. Highway 1 wasn’t the default quickest route, but we were able to adjust the navigation to drive along the ocean most of the way. We actually flew into San Francisco, and then out of San Jose to save some time on the travel day home, which I’d totally recommend. 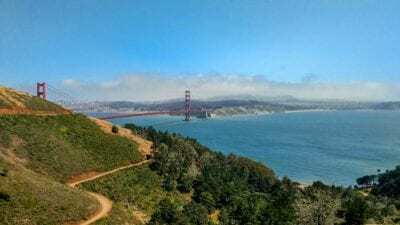 If you do that, it’s worth starting your trip in the wrong direction by driving over the Golden Gate bridge and getting some beautiful photos from the other side. When you come back across, it’s easy to get to Highway 1. When we arrived in Carmel, the greeting at the Vagabond House Inn was perfect. They had champagne waiting for our anniversary and gave us a tour of our room, which included a gas fireplace and heated marble floors surrounding a gorgeous free-standing bathtub. If I didn’t love all my family in Oklahoma, I would have asked if we could stay in the room forever! 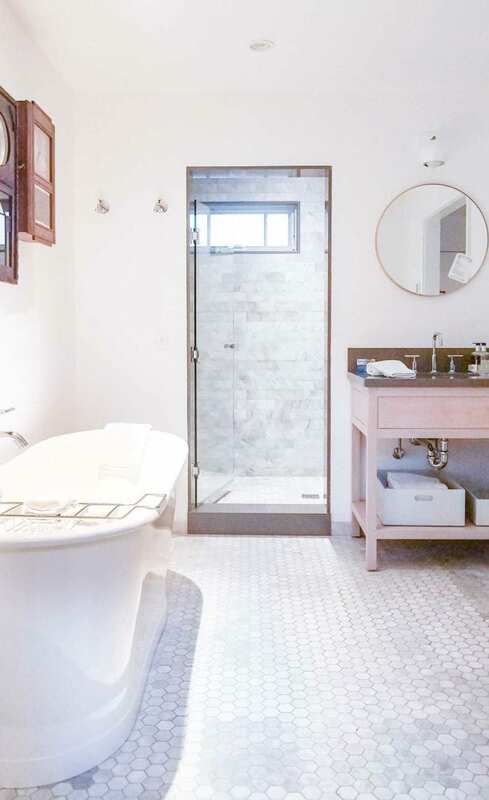 The Vagabond house initially opened in the late 1920s as a retreat for creatives. Despite the age of the property, everything in the room and bathroom was spotless. 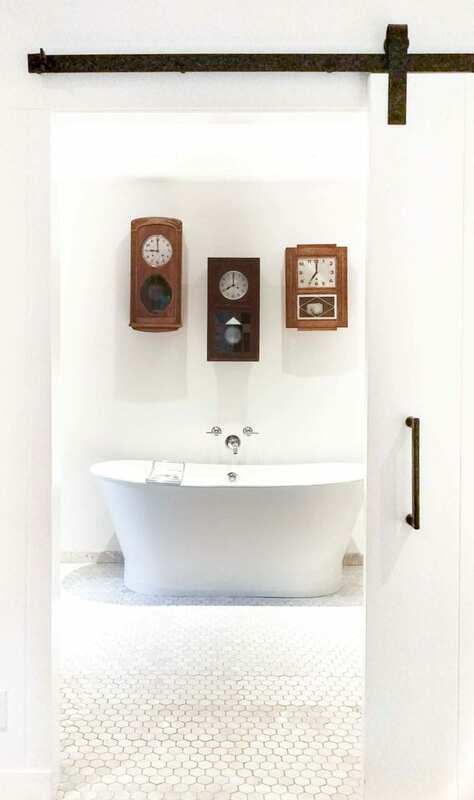 The attention to detail went beyond the heated floors. The fridge was stocked with glass bottles of filtered water that we could have refilled anytime. There was also fresh fruit and even a bottle of sherry for nightcaps – all at no extra charge. 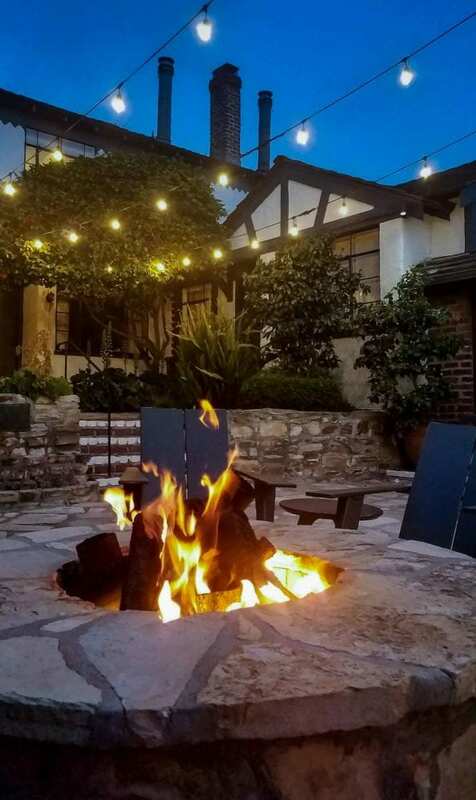 All the rooms open onto a courtyard with a large firepit, perfect to enjoy during their happy hour. Yes, they also provide wine and snacks every afternoon! And when I say the rooms open to the courtyard, I mean our room was literally almost always open to the courtyard. The rooms have dutch doors, so we left the top half open to enjoy the pretty garden view and let in the fresh air. 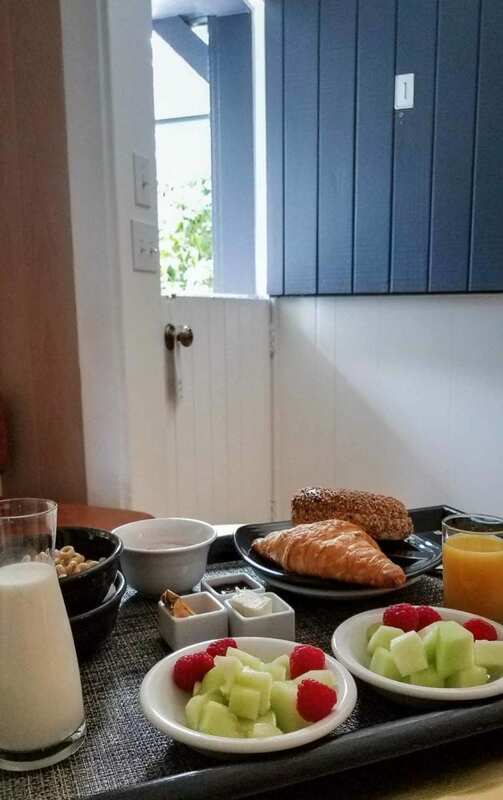 Breakfast is also included, and the croissants are a must-have. You’ll pick your breakfast selections and delivery time when you check in. They sound a little basic on the list, but everything was better than we expected. Coming from a 2 hour time change, we kept waking up by 6:30 so did wish earlier breakfast delivery time slots had been available. That said, it was pretty pleasant to get out and walk to a local coffee shop and then down along the beach before breakfast arrived. As you can see below, you won’t have too much company on your morning stroll. The beach is dog-friendly, so almost everyone else seemed to be locals taking their dogs for a morning walk or run. 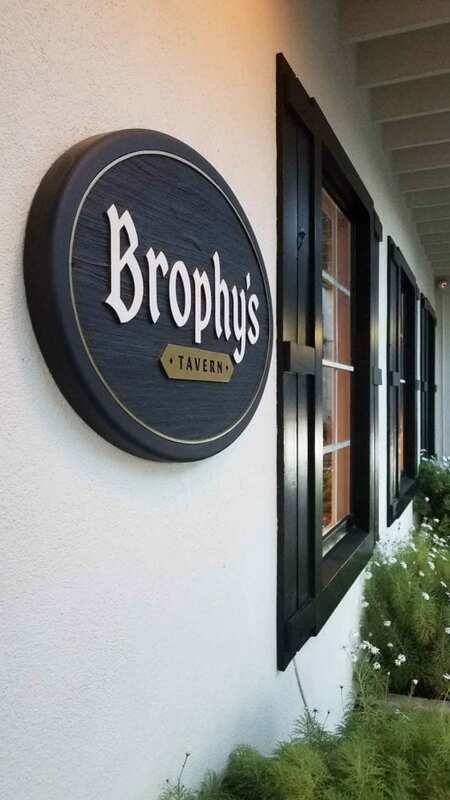 One of the closest restaurants to the Vagabond House was our favorite – Brophy’s Tavern. We walked over shortly after we arrived in town and realized it was full of locals cheering for the Golden State Warriors in the NBA finals. There was one lone chair at the bar, packed tables, and no one looking like they were headed anywhere until the game was over. We must have looked hungry and desperate because while we were standing trying to make a new plan for dinner, the frantically busy, but insanely good bartender popped around the bar to tell us she knew one of the couples had to be somewhere else that night so would be leaving. Meanwhile, we grabbed the single seat. Before we knew it, one of the locals grabbed a rogue barstool from somewhere and orchestrated the row scooching down so Corey and I would both have seats right away. Kindness like that goes a long way, but the food was just as fabulous as the service. The Brophy burger was ridiculously good and cooked perfectly despite the kitchen being so busy and chef popping out to check the status of the game. 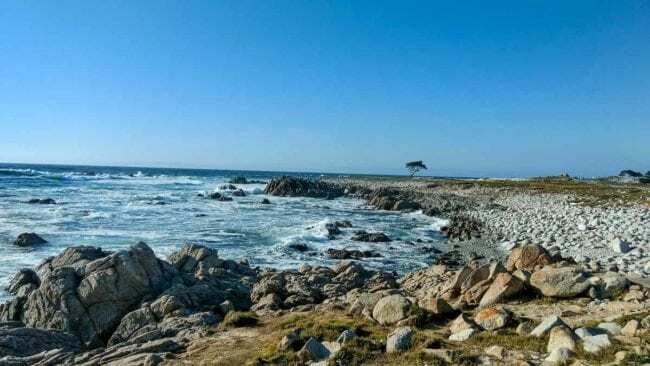 The next day, we had an activity planned that I would recommend to any visiting Carmel. We went on the Carmel Food Tour, which was the perfect way to get acquainted with the town. The stops included tastings at four different sit-down restaurants (including back to Brophy’s for their house-made fish and chips). All the food, wine, and beer were awesome, but two other stops made the tour even more special. We visited Carmel Honey Company, which was started by a now 15-year old boy when he was in the 5th grade. We were lucky enough that he was in the shop to tell his story and introduce us to the 4 different kinds of honey we were tasting. All four were served in ways we’ve never thought to use honey, and the difference in the tastes between them was fascinating. We also visited an olive oil and balsamic vinegar shop. We learned about the different ways people are falsifying olive oil and adding in all kinds of horrible byproducts. Our whole group looked at each other wondering what we were in for, but it wasn’t nearly as strange as we expected. Once we got over the initial fear, we tasted several varieties included some with infused flavors. The grand finale was ice cream…one with olive oil on top and one with balsamic vinegar. Again, we were shocked by how not-weird it was once we got over the mental barrier. The shop was called Trio Carmel. They ship anywhere, so we’ll be placing our order soon! In addition to all the tastings, our guide pointed out her favorite shops and told us all kinds of Carmel historical tidbits along the way. Like the fact that ice cream and gelato were outlawed until Clint Eastwood was Mayor in the 80s. Glad Clint took care of that insanity! After our walking tour, we hopped back in the car and drove through 17-mile drive/Pebble Beach. We weren’t aware there was going to be a pay gate to start the drive, so make sure you’re prepared for that. The first part of the drive, we were in a forested neighborhood and frankly not sure what we paid for. Then we got to the water. The views were incredible! You won’t be surprised to know my neck was on a swivel with amazing houses to my left and the ocean on the right competing for my attention! And if those weren’t enough, the golf course had several large bucks with beautiful large horns just hanging out by the fairway. 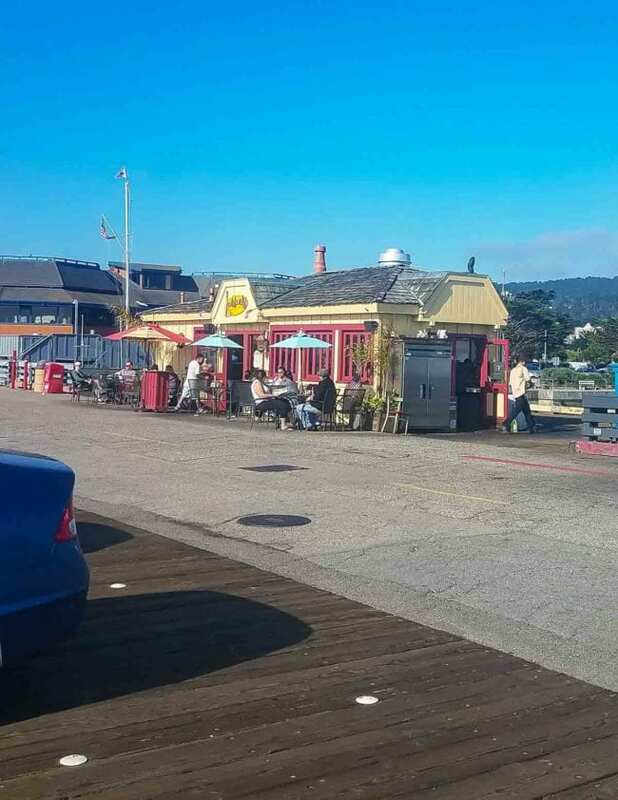 For our final full day, we headed to nearby Monterey for breakfast at Loulou’s Griddle in the Middle. 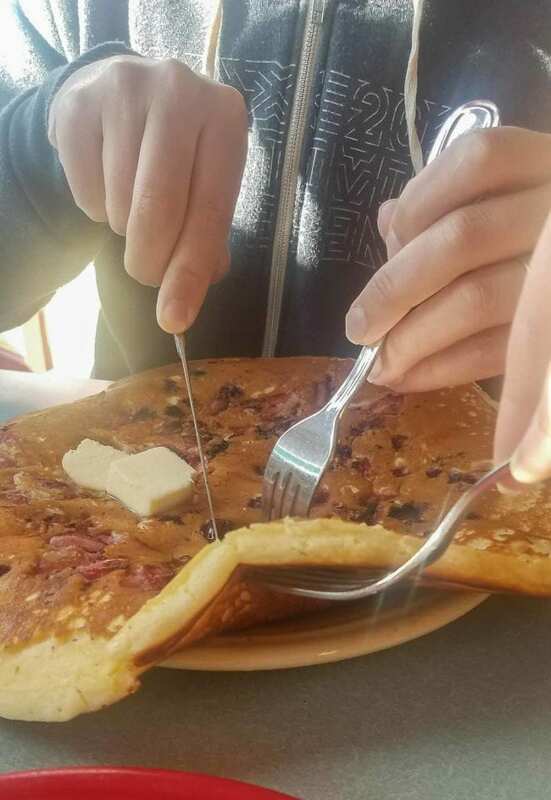 They’ve been featured on Diners, Drive-Ins and Dives for their Hubcap Pancakes and we had to see the jumbo pancakes ourselves. I rationalized that getting the version with fresh fruit would make it a bit healthier. It was DELICIOUS! And no, even sharing it we couldn’t finish the whole thing. Loulou’s is located out on a pier right next to a beach, so we immediately tried to apologize to our bodies for eating the pancake by taking a long walk in the sand. You’ll want to get to Loulou’s early to avoid a long wait – it’s tiny. The added benefit of early arrival means you can drive down the pier and get a parking spot right outside. We didn’t realize this and paid for parking at the end of the pier. Whoops! We did a quick drive down Cannery Row before jumping back in the car to travel south to Big Sur. The changing landscape along the way was incredible. We felt like we were everywhere from Hawaii to Scotland to Yellowstone. At one moment, you were surrounded by cliffs dropping into the ocean and the next, you were driving through mature trees with no indication the ocean was anywhere close. 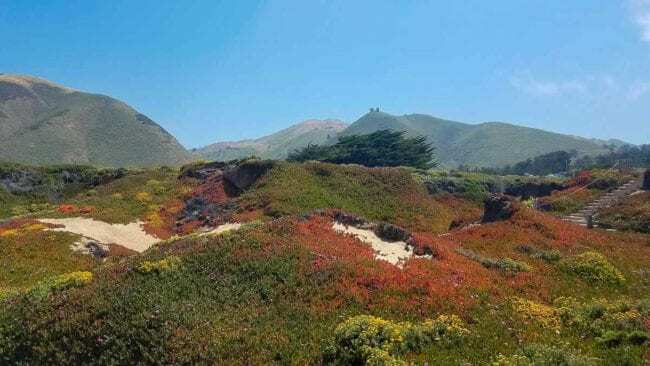 Garrapata State Park is along the drive and a must see. 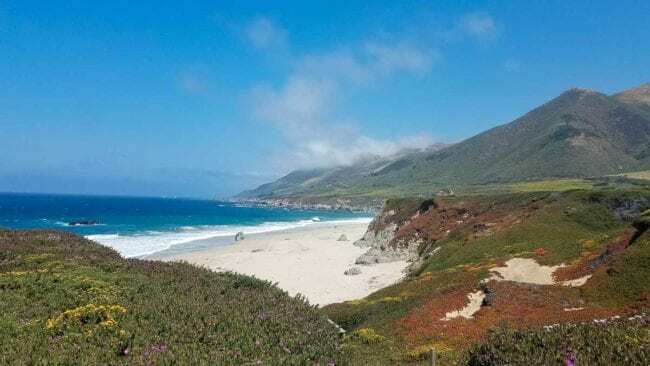 Even if you don’t have time to get all the way to Big Sur, try to get to Garrapata. It was COLD and windy, but still one of the most beautiful places I’ve ever been. Even the views not facing the water were lush and incredible. The pictures really can’t capture all the colors and textures in this area. If we made the trip again, we’d pack a picnic lunch to enjoy ocean-side at one of the many stops along the way. When it was time to leave Carmel the next morning, I was already trying to figure out when we could go back! BONUS TIP: If you’re flying out of San Jose and have a bit of extra time before your flight, head to Santana Row for shopping and lunch. It’s the shopping district even for window shopping. I wish we would have had more time to enjoy it. 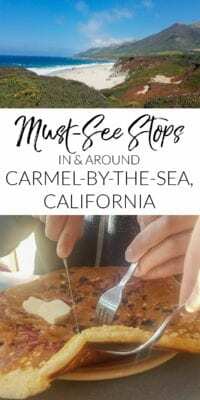 If you’ve been to Carmel, I’d love to hear your recommendations and favorite spots in the comments below! Wow, Melissa – thank you so much for the kind remarks about our food tour! What a delightful surprise it was to receive this link from our ticketing agency. We’ll be sure to share it on social media and hope you’ll come see us again soon! Thanks Staci! I’m glad you enjoyed the post – we’ll definitely be back! 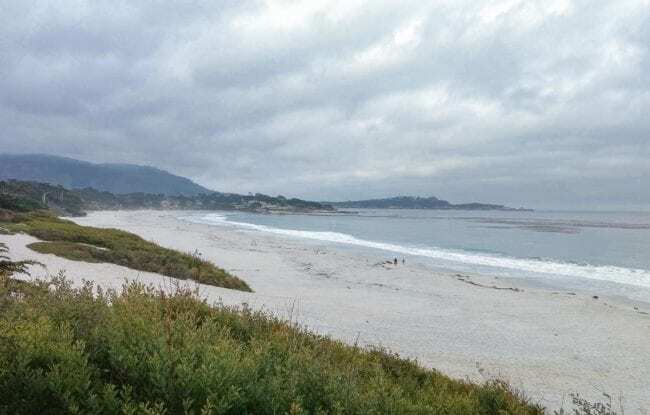 Some of your beautiful shots of Carmel reminded me of the old Clint Eastwood (Malpaso Productions) movie, “Play Misty for Me” … a great movie, albeit about a more than slightly obsessed fan of a DJ, played by Clint Eastwood, of course ! We’ll have to see if we can find a copy of that to watch. I’d love to see it! It’s from 1971 and should be on YouTube. It’s extremely well done, although I remember reading that it was done on a very low budget. However, it does get creepy (imagine an over-the-top crazed fan/stalker), so watch it with your hubby. You’ll recognize the bridge when you watch the move. Yikes! I’ll definitely not watch alone in the dark! Thanks so much! This is incredible!! I feel like I was right there with you! “Travel Blogger” in your repertoire??? How lovely for you and Corey to get to experience this together. Happy Anniversary! !